Watch the Jan. 27, 2011, talk “String Things,” part of the Osher Lifelong Learning Institute. Mitchell Korn leads a participatory and in-depth exploration of orchestral string instruments: their construction; sound production; techniques and histories. 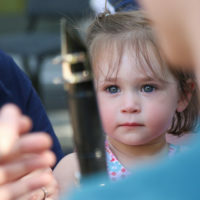 Audience members try out various instruments and directly participate in the joys, frustrations and challenges of instrumental study and accomplishment.